* How do you feel when you hear the words “My God, my God, why have you forsaken me”? * What truth does Jesus' death tell about our lives and world? How does it give us hope? 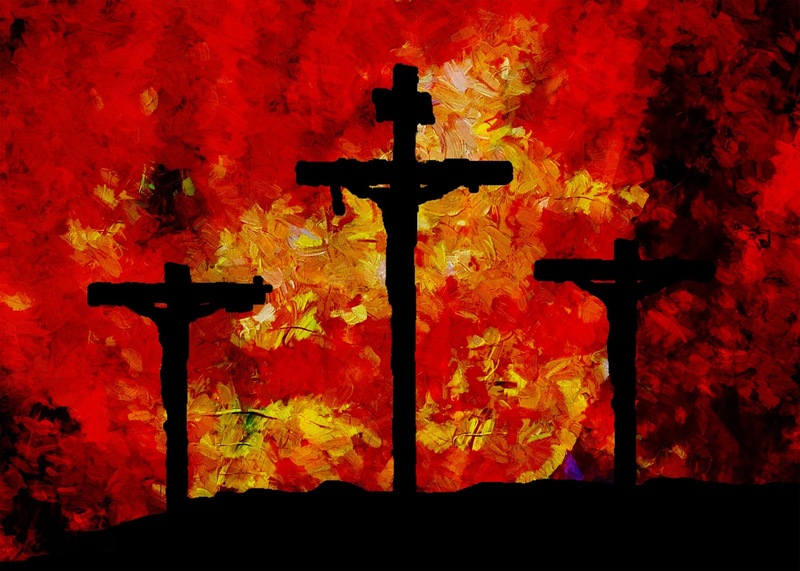 Then Jesus cried again with a loud voice and breathed his last. At that moment the curtain of the temple was torn in two, from top to bottom. The earth shook, and the rocks were split. The tombs also were opened, and many bodies of the saints who had fallen asleep were raised. After his resurrection they came out of the tombs and entered the holy city and appeared to many. Now when the centurion and those with him, who were keeping watch over Jesus, saw the earthquake and what took place, they were terrified and said, “Truly this man was God’s Son!” Many women were also there, looking on from a distance; they had followed Jesus from Galilee and had provided for him. Among them were Mary Magdalene, and Mary the mother of James and Joseph, and the mother of the sons of Zebedee.